The accused alleged that he was forced to live in inhuman conditions inside the jail and it lacks basic facilities such as proper food, drinking water, sanitation and medical aid. 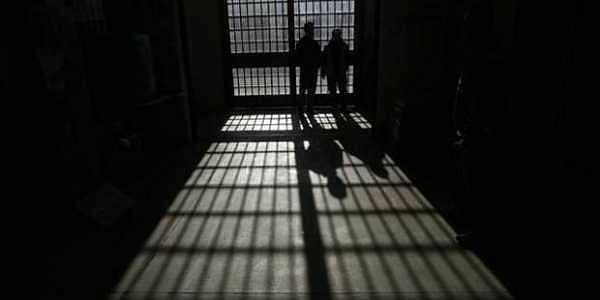 NEW DELHI: A Delhi court has sought the response of Tihar Jail authorities on a sexual harassment complaint of a British national inside the prison where he is lodged for allegedly recruiting youths for al-Qaeda to carry out terror activities. 27-year-old Shamiun Rahman, a British national of Bangladeshi origin, was arrested in September for his alleged involvement in recruiting Rohingya Muslims for the terror outfit and train them to fight against the Myanmarese army. In his application moved before Additional Sessions Judge Siddharth Sharma, he alleged that he was sexually harassed by Tihar Jail security personnel and inhuman behaviour was meted out to him by the prison authorities. The court directed the jail authorities to file response on the application moved by advocate M S Khan by November 8. The Special Cell of Delhi police had alleged that the process of radicalisation of Rahman alias Raju Bhai began in a jail in London where he was lodged on charges of rash driving. During this period, he stayed at various madrassas in Kishanganj (Bihar), Hazaribagh (Jharkhand), NCR and other places. He had plans to set up base in Mizoram or Manipur to train radicalised youths. An FIR was filed by the special cell after his arrest under various provisions relating to the stringent Unlawful Activities (Prevention) Act, Arms Act and Passport Act.